How can I monitor my data usage on my cellular device? 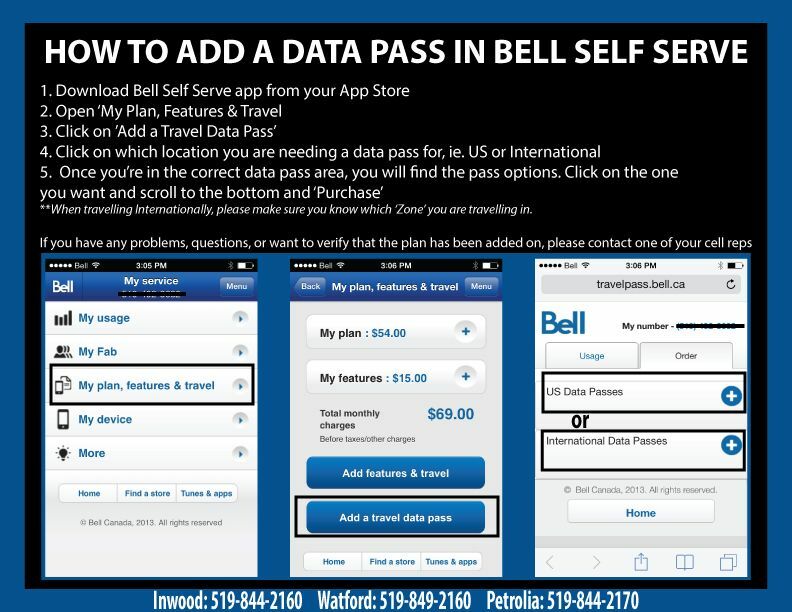 If you would like to monitor your monthly data usage on your Smartphone, you can download the app called Bell Self Serve. It can be found on the app store applicable to your device. Note: Bell Self Serve is not available on Wi-Fi. How do I check my cellular voicemail? Press and hold the 1 key on your cellular device, this will call your cellular voicemail. You will then proceed to follow the voice prompts. I have a data plan but how do I know how much data I’m using with different activities? It is hard to determine how much data each specific activity on your phone uses. It can vary between different phones and different apps. Its always a good idea to connect to Wi-Fi as often as possible to avoid data overage on your account. Some applications that use data do run in the background so its always a good idea to close completely out of them. For example, Facebook can run in the background unless you have completely logged out. If you are unsure of your usage you can always contact one of Brooke Telecom’s cellular representatives and we can look at your account. What is my coverage like with Brooke Telecom cell service? Brooke Telecom works off of Bell’s network so anywhere that Bell has coverage, Brooke Telecom does as well. Will I be charged for using my cellular device outside of Canada? Yes. There are certain rates that are applicable to texting, calling and data usage that vary depending on what country you are in. If you are planning a trip to somewhere outside of Canada, please call the office and speak to a cellular representative about adding one of our many packages and features for international travel.